Recent reviews for "Get Up"
★ ★ ★ ★ 1/2 - "Get Up is one of those albums that gets under your skin, its songs the ones you find yourself humming and can’t quite remember where you heard them. Rock bands with a more “pop” sound often get dismissed as lightweight, but Wiretree’s songs are pop of the highest order, the kind that is both accessible and carries an emotional impact. So get up and grab Wiretree’s latest—albums this good don’t come around as often as they used to." (UK) "Get Up is the band’s fourth album, and such is the high quality of the entire album overall that I now feel duty bound to go and search out their back catalogue, which is as much of a ringing endorsement as you could give, really"
"Devoid of any weighted expectations or clumsy genre integration, “Out Of My Mind” (off their new album Get Up) finds Wiretree interweaving a gorgeous melody with bursts of churning guitars and chest-thumping percussion. The song seems to inhabit that moment in time when your breath catches in your throat the second before fireworks explode across the sky in a dazzling array of hues and patterns." 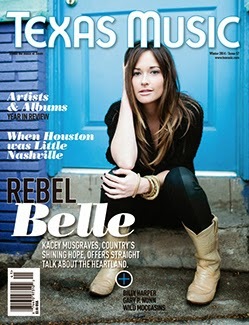 "The latest studio album from the Texas-bred band showcases carefree pop and light rock at it's best. Bet Up is an effortlessly beautiful album that's perfect for relaxed listening over the summer." "There is a lightness of touch melded with a lush sense of joy which is infused throughout 'Get Up'. But this is no generic Mumford romp, simply a great way to start the album, if not your day. 'Marching Band' is as bright as 'Get Up'. There are nods to 'Band On The Run'-era Wings, and then there is the couplet of "I used to listen to the Beatles and The Stones, then I found other bands". 'Marching Band' is no mere homage, and Kevin Peroni has a Westerberg ability to make the mundane shine."